Extended from last week...still waiting on new modem. My girls and I spent Saturday at a ladies' retreat. Reflections was the theme, and we were all blessed by the music, the message, and the times of worship and fellowship. While we were gone, lightning hit our modem again, so this is simply a snapshot of the program. I'm sorry to hear of your internet troubles. That can be so frustrating. Thank you for hosting us in spite of it all! Ladies retreat sounds just wonderful - and to have your daughters with you as well! 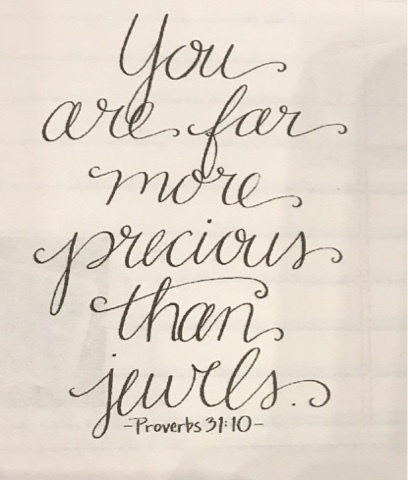 Awesome that we are counted as precious jewels in God's sight. Forgiven, Loved, Precious. Yes, that one day retreat was a blessing indeed!